Rodney is just back from Bishkek, Kyrgyzstan, where he attended the second International Forum (and mid-term meeting) of the Global Snow Leopard & Ecosystem Protection Program (GSLEP). 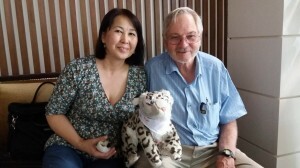 For the Conservancy-facilitated Land of the Snow Leopard (LOSL) Network, this meeting was the first opportunity to demonstrate to both the western scientific community and the general public that indigenous communities are materially participating in the protection of snow leopards. Across Central Asia, snow leopards are seen by indigenous cultures as totem animals – community protectors and unifiers of humanity. This simple but powerful fact was the catalyst for creation of our LOSL Network. As part of the forum activities, a Science Exposition & Symposium took place each day, funded by USAID. 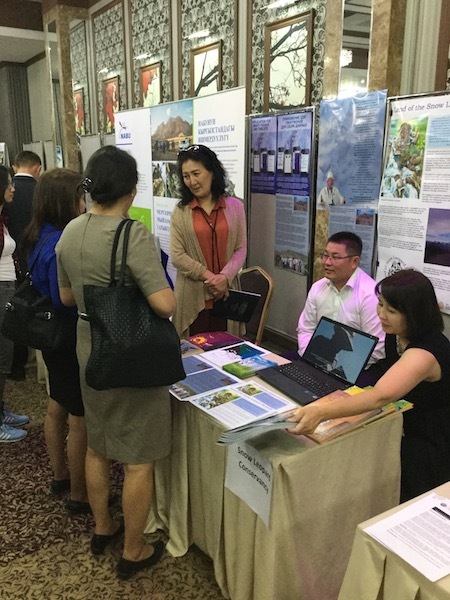 Participating NGOs had booths highlighting the latest research, conservation, and development activities being undertaken across the snow leopard range. Our LOSL Network demonstrated that we are monitoring wildlife and collecting data in a way that supports the needs of local communities and the GSLEP’s goals. 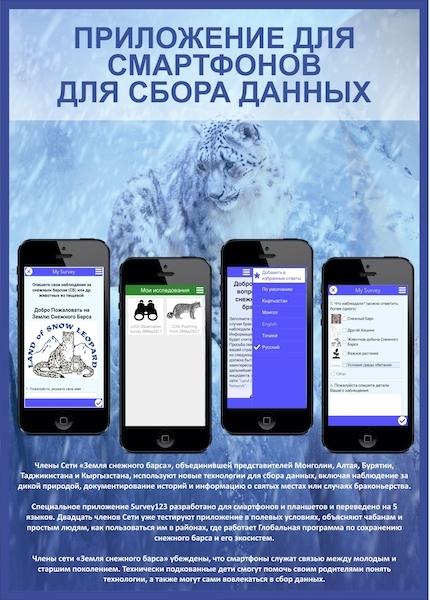 Please see our July blog to learn more about our special LOSL App. 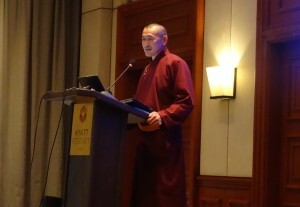 Symposium speakers explored such themes as climate change, new technologies, field studies, sustainable financing, and community-based conservation. 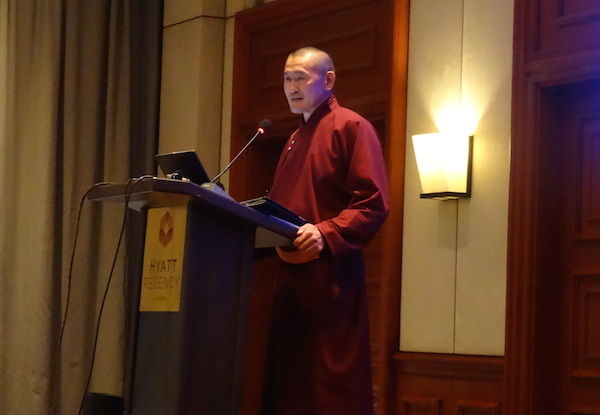 Norbu Ayusheev, Soyot Khambo Lama, traveled from Buryiata, Russia, to represent the LOSL Network in his talk on the role of ICPs in snow leopard conservation. 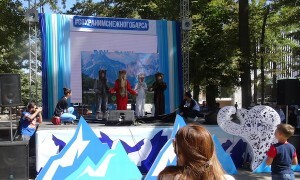 The Exposition concluded with public activities in a local park. LOSL Network member Kuluipa Akmatova, program director for the NGO Rural Development Fund, brought a group of young people from Talas (where we held our workshop earlier this year) to perform a play. Traditional stories and legends are vital to the survival of indigenous cultures. As our Network members have pointed out, data is not necessarily numbers; a story handed down through the generations can be equally powerful data. 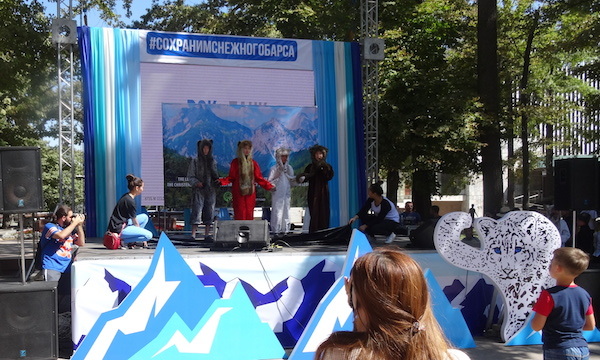 The young performers’ story features a poacher who kills a snow leopard. Afterwards, his family suffers a huge tragedy – the death of a loved one or the loss of an investment that plunges the family into poverty. Stories such as this become data when we discover that they are common to communities in Tajikistan, Mongolia, Kyrgyzstan, and Russia. As the play illustrates, stories can be utilized in many ways to strengthen cultural awareness and improve cultural components of environmental education curricula.